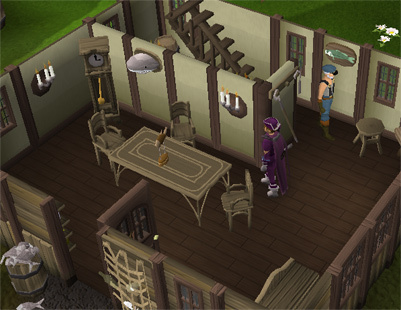 Hemenster is a Members-Only area that is located west of Seers' Village and north of Ardougne. 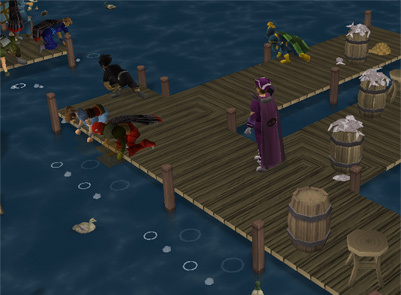 It is home to two guilds Fishing and Ranging, where the experienced fisher or ranger can visit to continue raising their skills and buy items used with the skill. 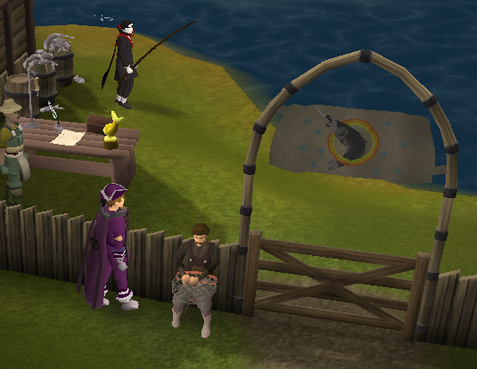 You'll find yourself in Hemenster while doing a couple of quests, the Fishing Contest and the Temple of Ikov. The avid fletcher can enjoy using the respawns of chickens for arrow making. Around this area are 2 guilds. 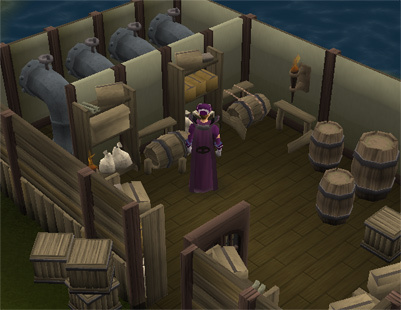 First is the Fishing Guild, where you must be at least level 68 Fishing to enter. It can be found to the western side of the lake. 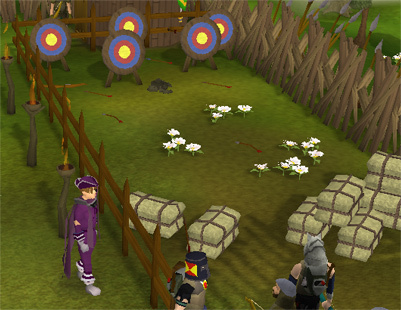 Next is the Ranging Guild where you must be level 40 Ranged to enter. This guild is located east of the lake. Inside are several shops for buying Ranging equipment and even an Activity to practice Ranging. If you have time for some great fishing stories, head over to Grandpa Jack's and have a visit with him. He also has a free glass blowing pipe in the corner of his house. Beside Grandpa Jacks' place, is an empty storage building and pipework for the lake that is filled with sacks, boxes, crates and dressers for searching. 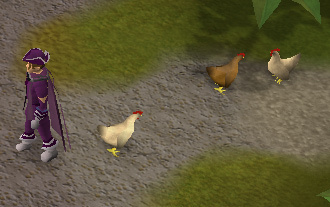 In the middle of Hemenster are respawns of chickens where the avid fletcher will come to collect feathers for arrow making. 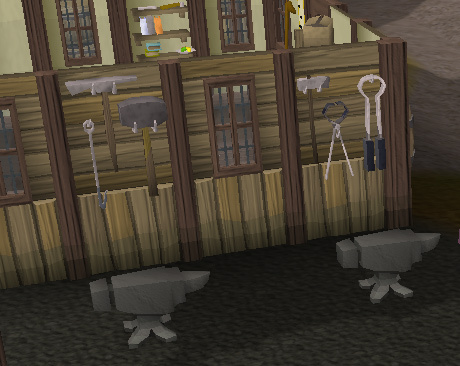 South from the town are three anvils for your smithing pleasure. 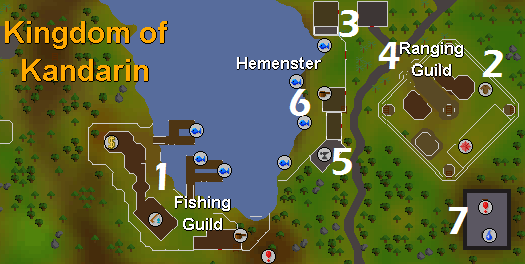 There are various fishing spots around the lake where you must have started or completed the Fishing Contest Quest where you obtain a fishing contest pass at the beginning of the quest. You must have this pass to enter the gates even if you have finished the quest. 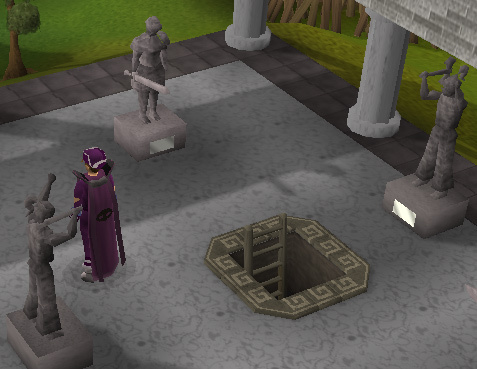 Under the Rangers' Guild is the dungeon for the Temple of Ikov Quest that is filled with various monsters.